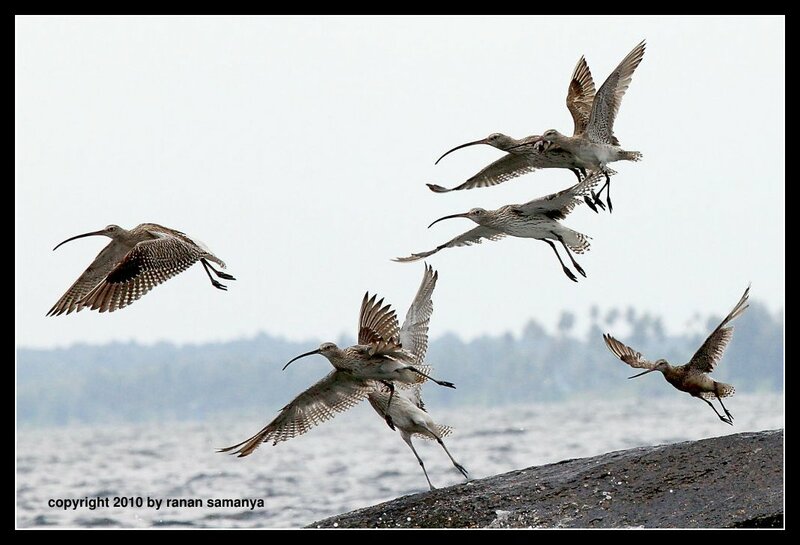 Just a quick note on what we found this morning in Segiling, Bintan, during our turtle survey this morning: more Eurasian Curlews are coming (see this post for full description). A flock of at least 22 birds were spotted (compared to a mere 3 last month), together with 2 new species we have yet to identify (one species got captured here on the bottom right and top right corners – maybe a Godwit?). Click on the image to see the glorious feathers! Beautiful shoot. What is the latin name of this bird?